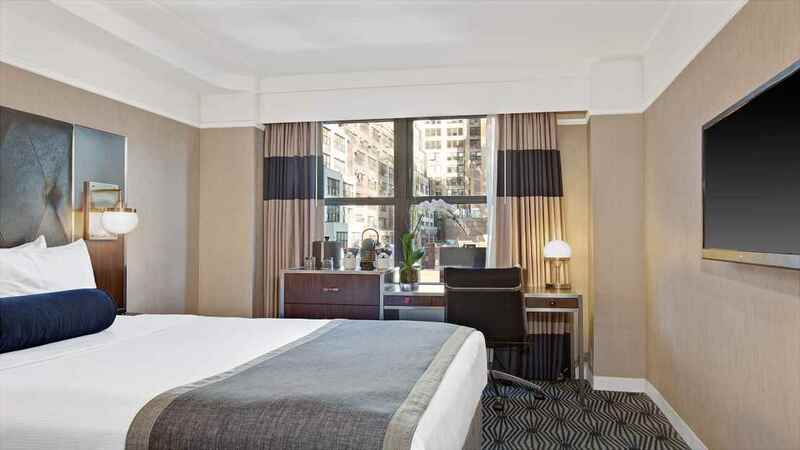 Be captivated by the city that never sleeps, with a once-in-a-lifetime stay at the New Yorker A Wyndham Hotel, nestled among the exciting hustle and bustle of New York City. 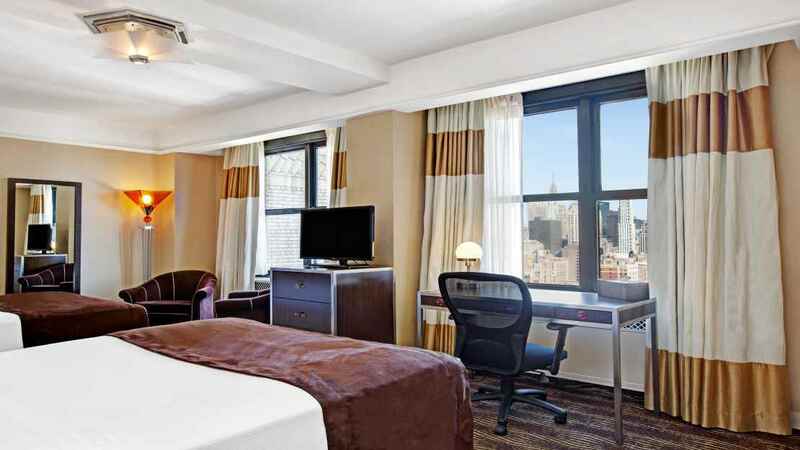 Located only a short work from most of the main attractions, a stay at this stylish abode will ensure that you see the best of the Big Apple. Experience the bright lights of Broadway, take in the scenery of Central Park, survey the skyline from the Empire State Building or muse over the spectacular display that is Times Square. 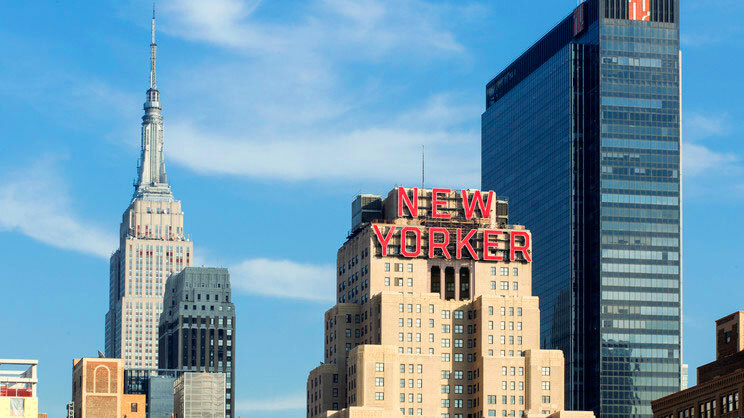 The New Yorker enjoys a spectacularly central location in New York City, a stone’s throw from Times Square and within walking distance of Central Park South and the Empire State Building. 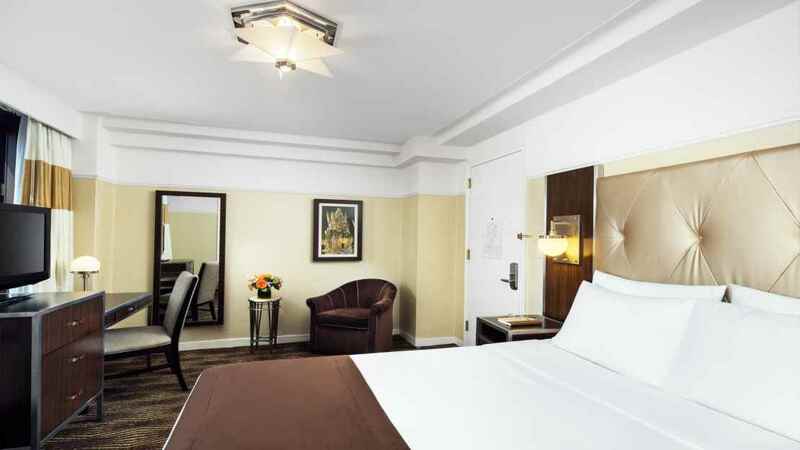 John F Kennedy International Airport is approximately 24km away from the hotel.